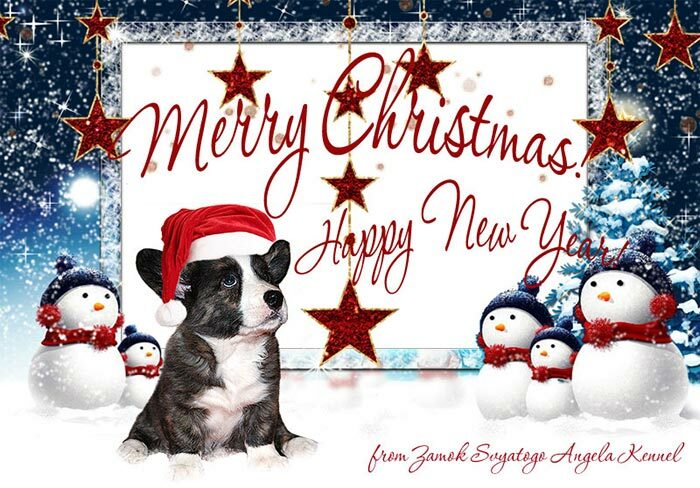 On the 12th of December our Arisha (Zamok Svyatogo Angela ARINA) gave birth to 5 beautiful puppies (4 boys and 1 girl) out of grandson of our Natan and Zhuzha - brindle boy Bryan (Cardigan Park BRYAN)! 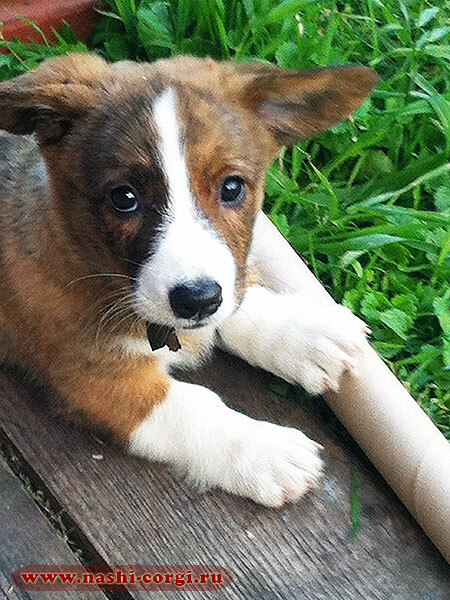 Puppies are gwoing and we can show you their first photos soon. 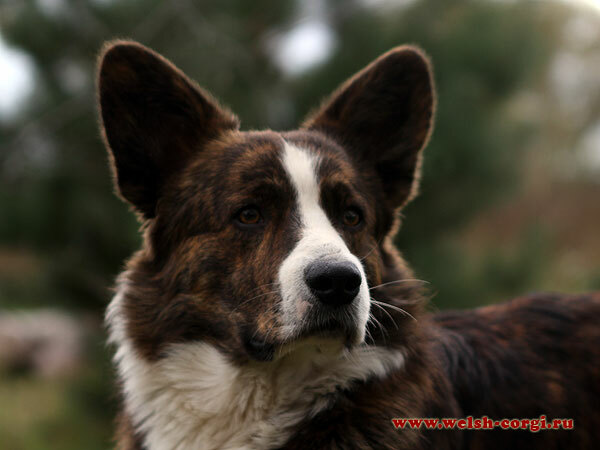 But now you can take a look to their pedigree and parents photos! 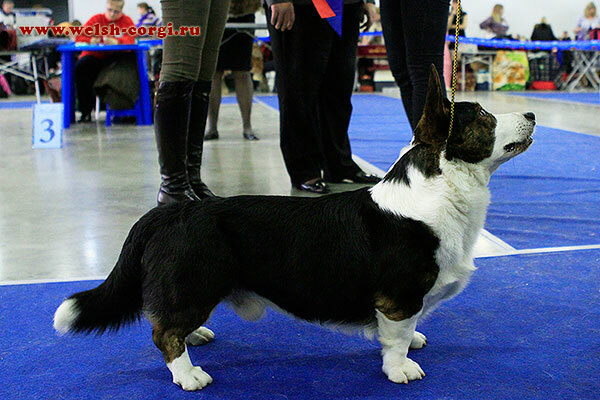 Meet the son of Zamok Svyatogo Angela EMMA-O, grandson of our Natan and Zamok Svyatogo Angela ISIDA, grand-grandson of our Avva — red and white boy Frey (Zamok Svyatogo Angela ZIGMUND)! 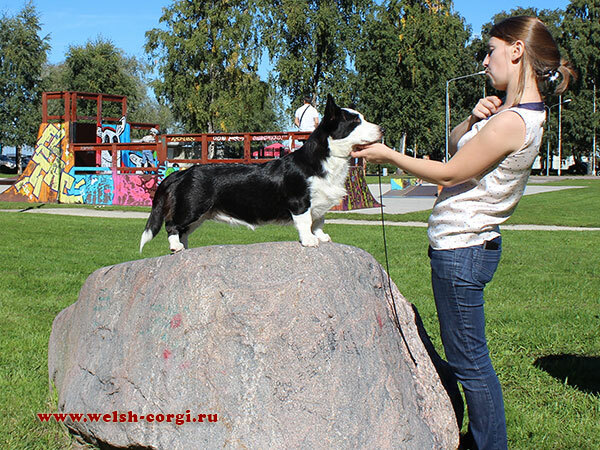 We congratulate our "small Ava" (Zamok Svyatogo Angela AVA) with the titles of Champion of Russia and Champion of Belarus! 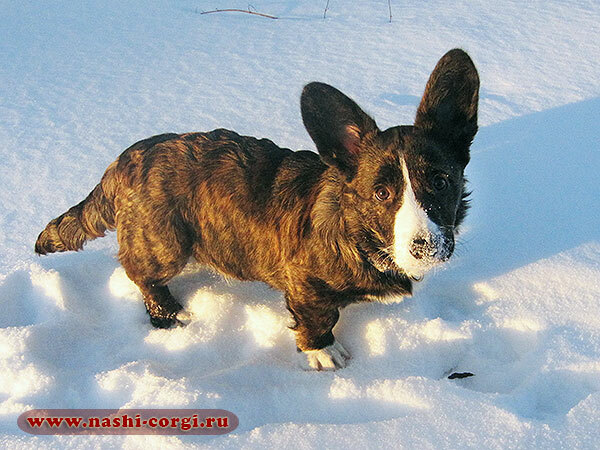 We join to congratulations of Lori and wish you success and happiness in your life! 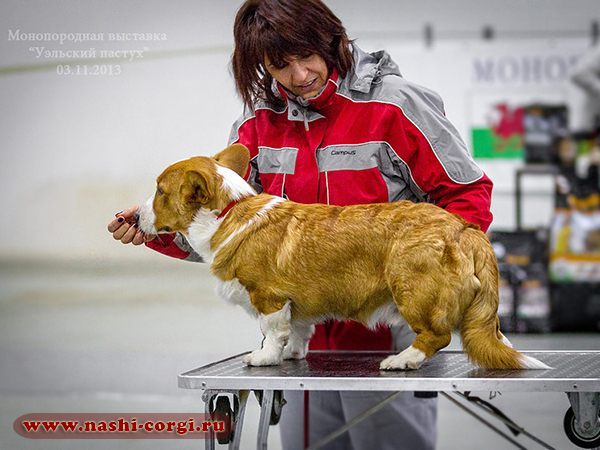 Our congratulations to the daughter of our Klim and Iriska — red beauty Fannie (Zamok Svyatogo Angela YAKOVA) with the title of Champion of Russia! 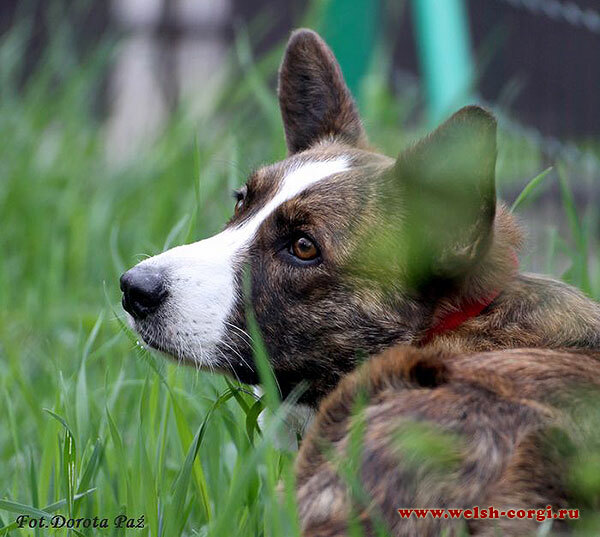 Our thanks and congratulations to the owner of Fannie Daria! 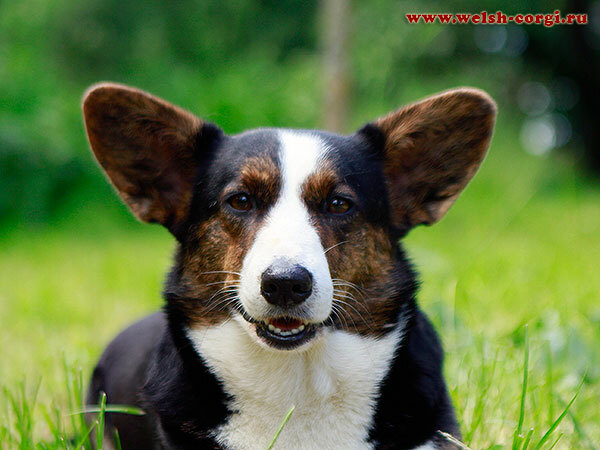 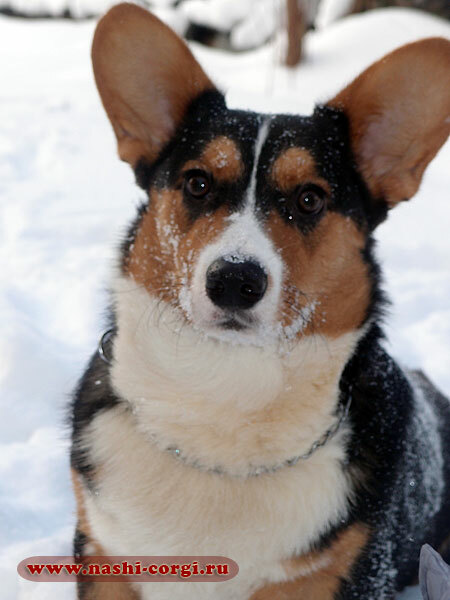 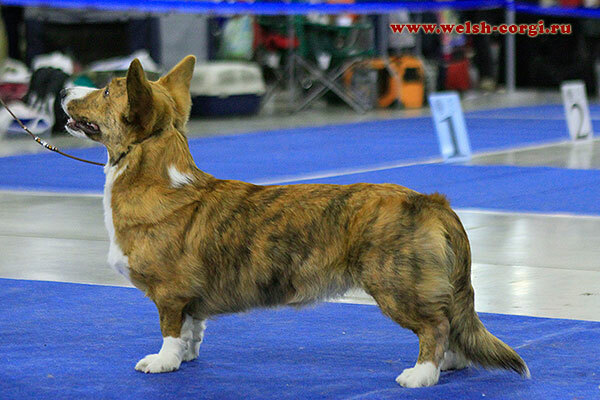 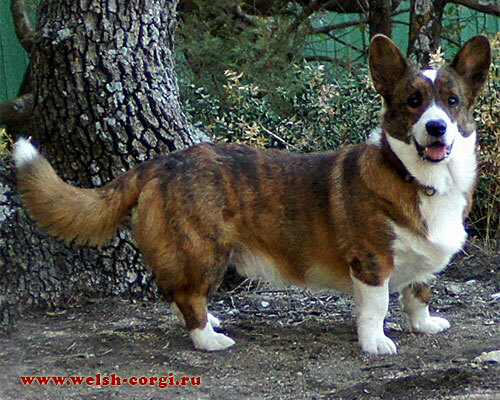 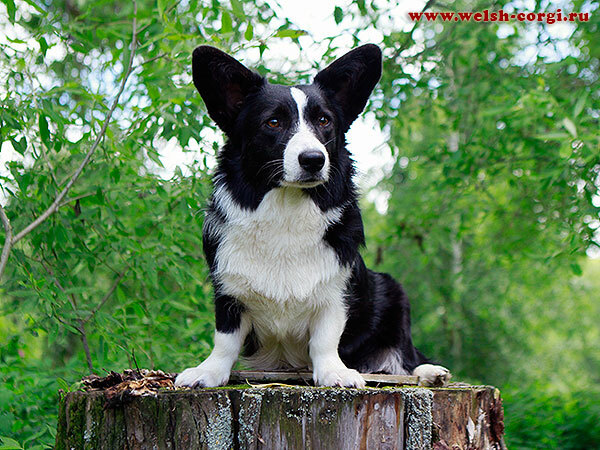 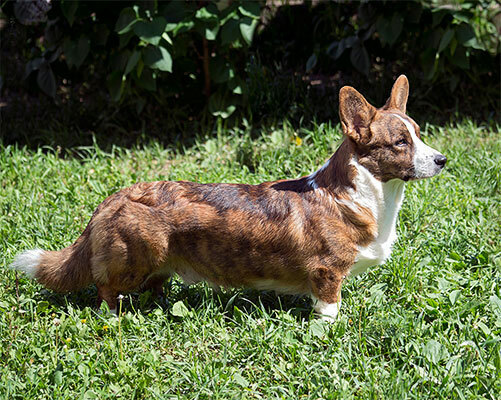 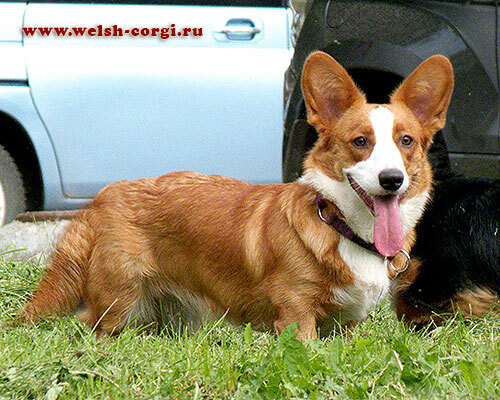 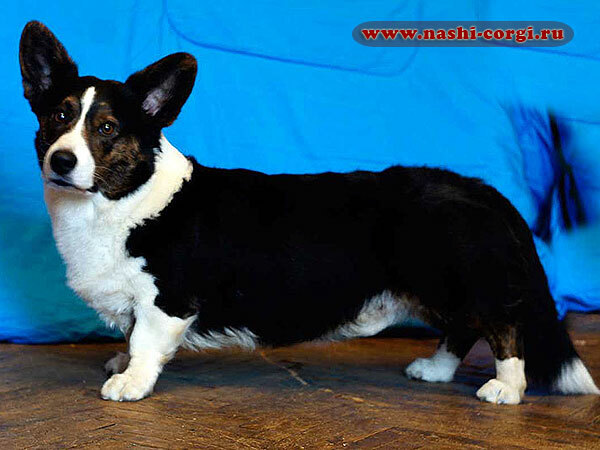 Welsh corgi cardigan Fannie — Champion of Russia! 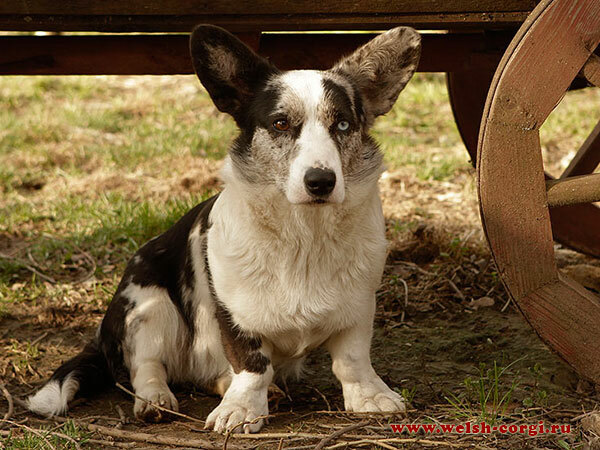 Let us introduce our blue merle girl Maha (FANTASMAGORIA Controversia)! 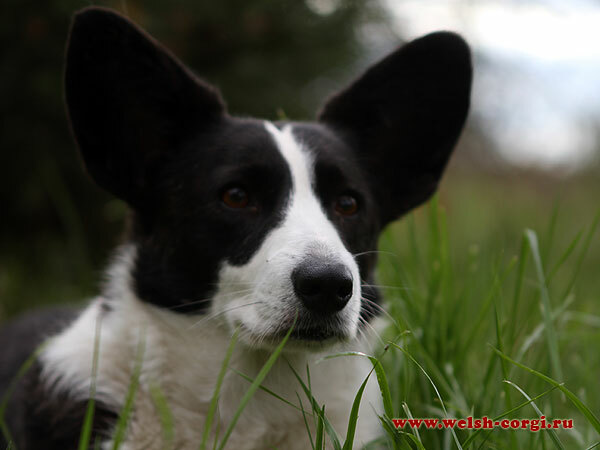 At last, she also has her own webpage! 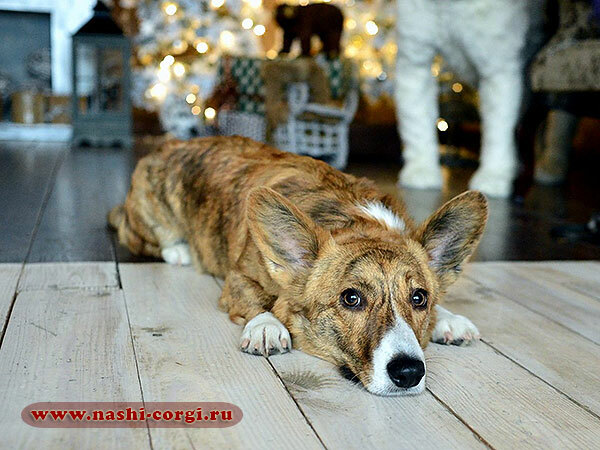 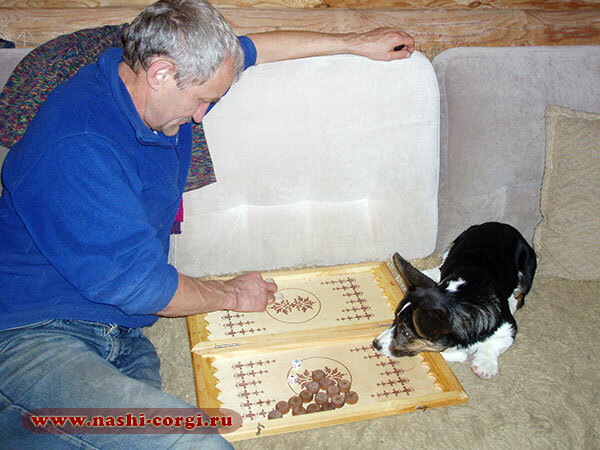 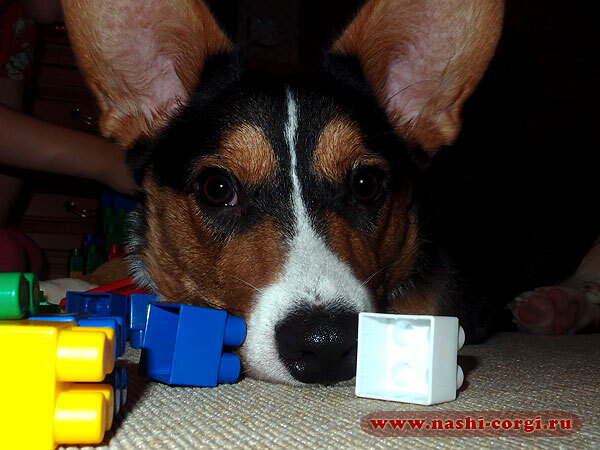 And one more page in nashi-corgi.ru website. 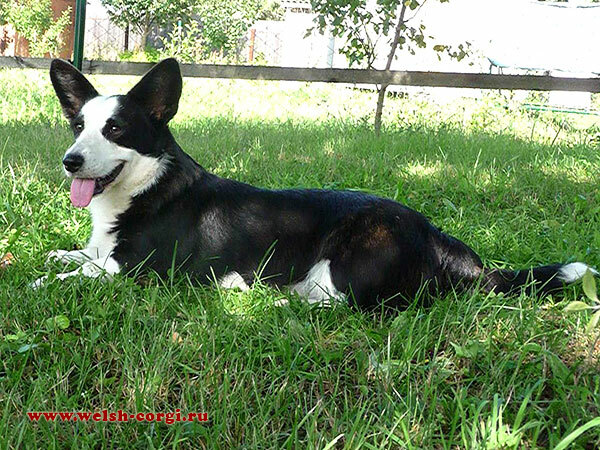 Meet Agata (FAVORITE ONE Controversia) — amazing daughter of Frai (Zamok Svyatogo Angela FAVORIT) and blue merle beauty Maha (FANTASMAGORIA Controversia)! 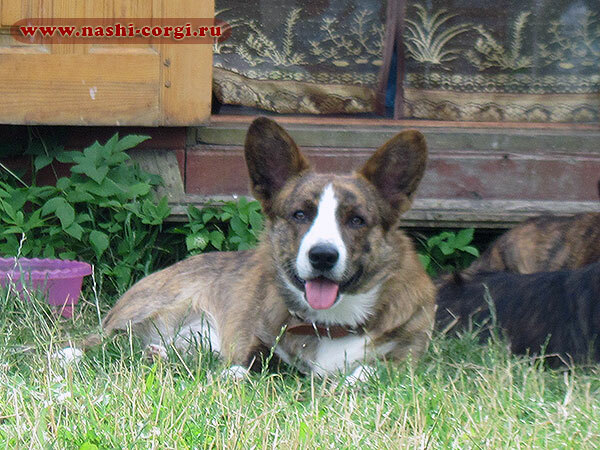 We have new pictures of our "small Ava" (Zamok Svyatogo Angela AVA)! 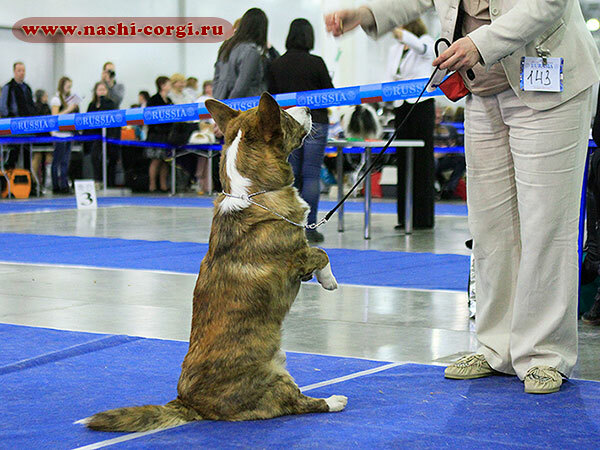 We have new very nice pictures of our dear Hanna (Zamok Svyatogo Angela HANNA BRAVO)! 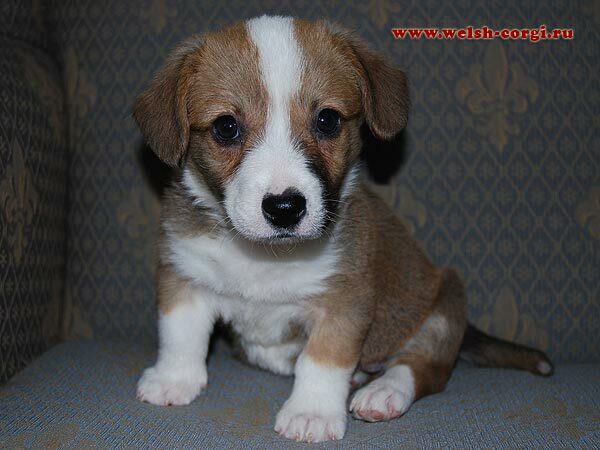 We have new pictures of our welsh corgi cardigan babies at the age of 40 days. 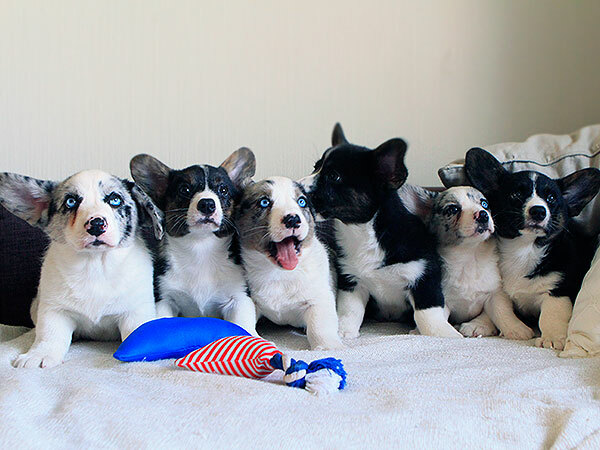 You can see them at the page of I Litter! 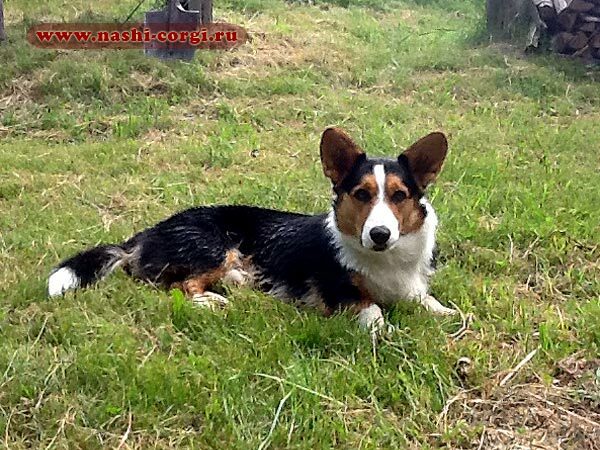 And a few photos of mother, grandmother and grand-grand mother of these puppies were added to our Photoalbum. 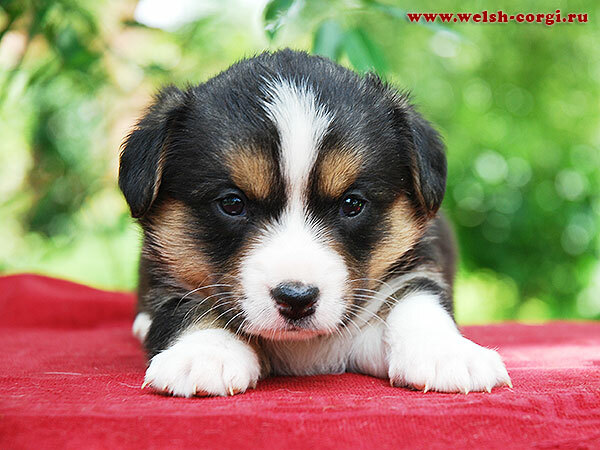 On the 8th of July 6 beautiful puppies (2 girls and 4 boys) were born in the Kennel! 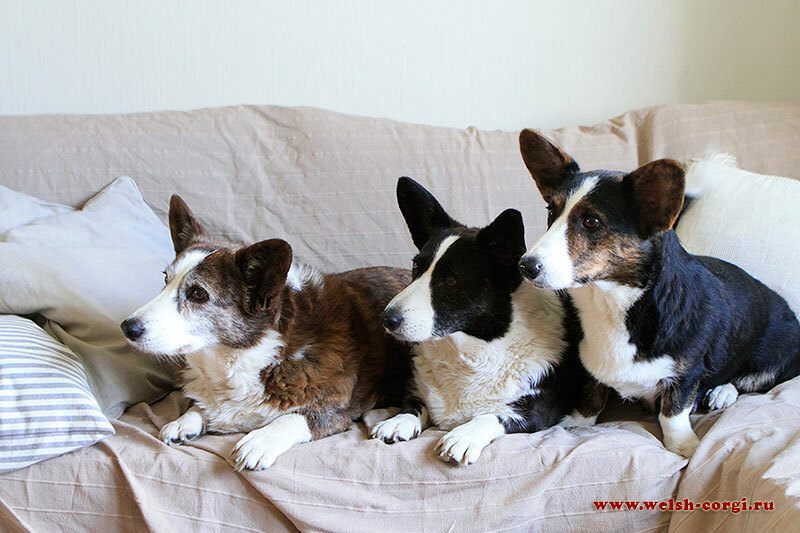 They are the third generation of Angels of our Kennel and grand-grand-children of our Avva! 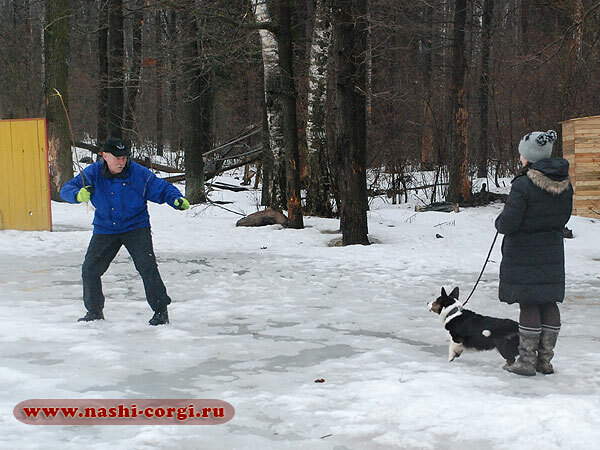 The parents of the babies are our Klim (Zamok Svyatogo Angela SIMON) and Ptitsa (Zamok Svyatogo Angela HAVVA PTITSA)! 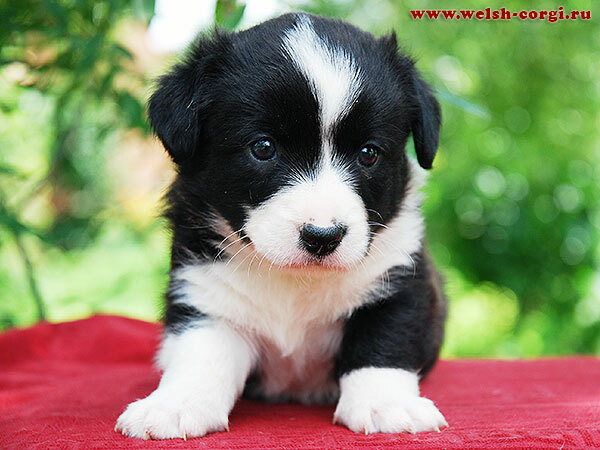 On the first 1 month birthday we made pictures of the babies and you can see them at the page of I Litter! 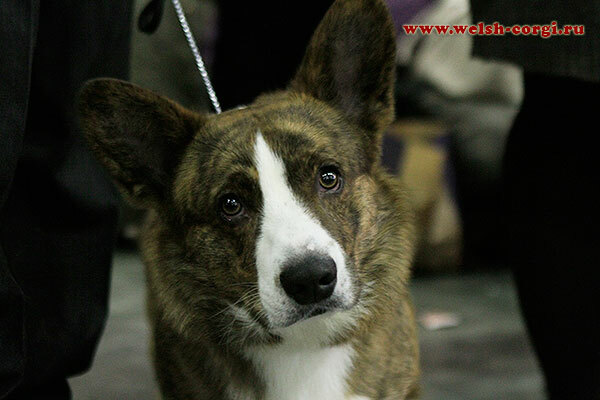 All puppies of Polish Kennel Controversia has found their new homes! 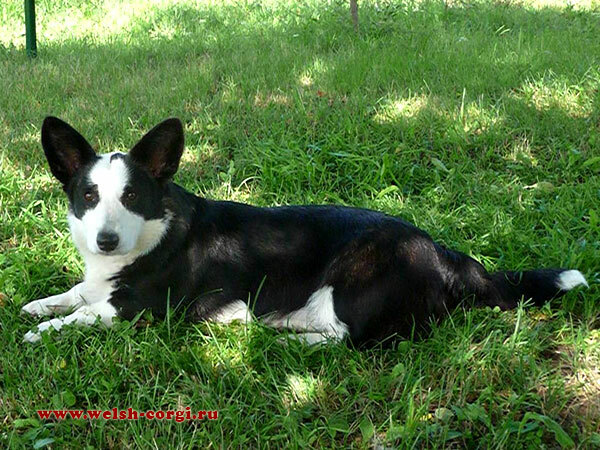 Beautiful daughter of our Zamok Svyatogo Angela EMMA-O — Kora (Zamok Svyatogo Angela ZAVVA)! 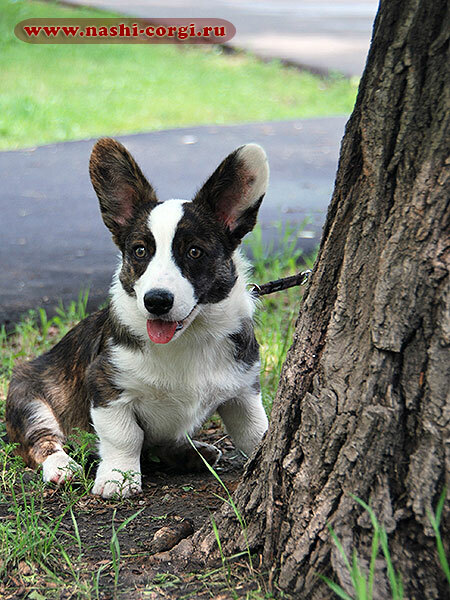 Thanks Svetlana — the owner of Kora for her pictures! 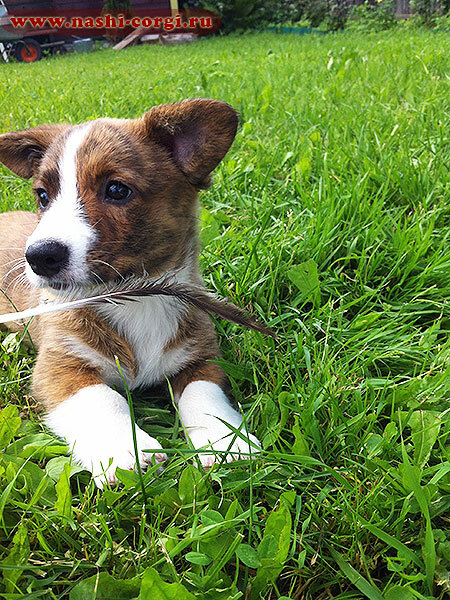 On 9th of July puppies was 2 months old! 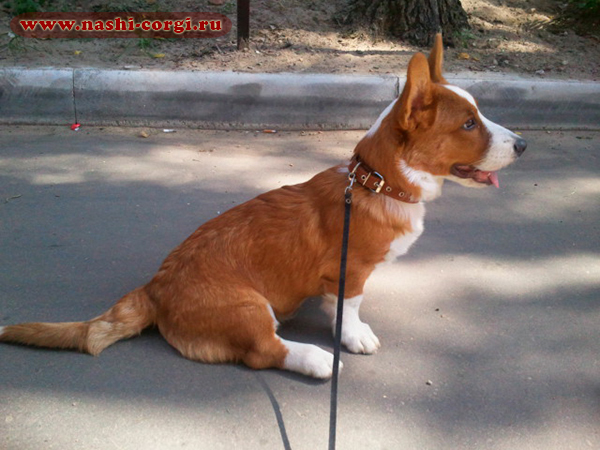 We want to please future owners with new photos of children, which you can see on the page of the Litter! 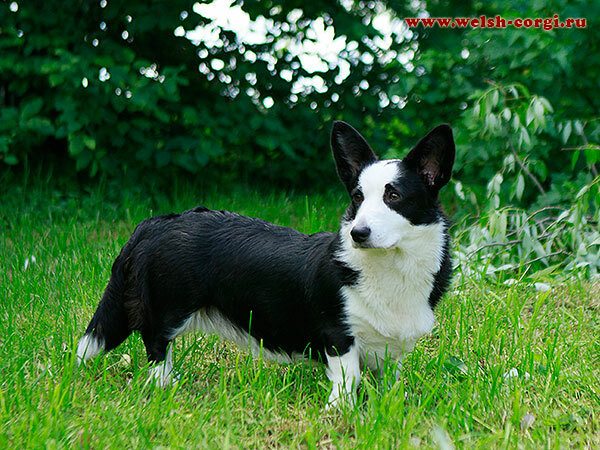 Puppies of Polish Kennel Controversia are looking for the best owners! 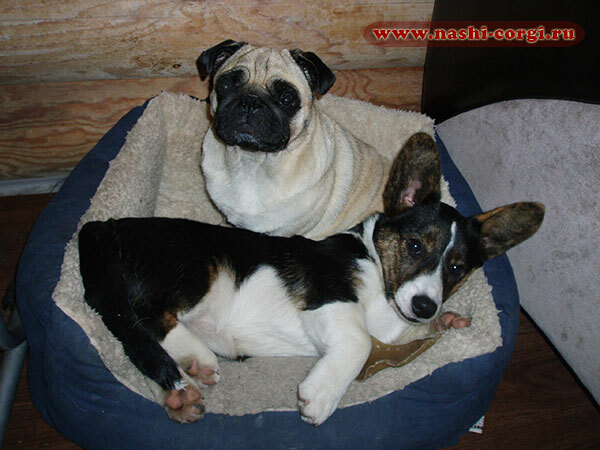 They are 1 months and 3 weeks old, were born in our Kennel out of our son Zamok Svyatogo Angela FAVORIT and are locating in Moscow. 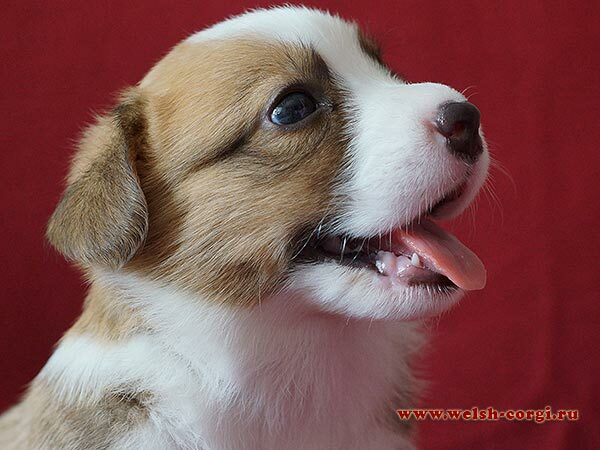 Photos and pedigree of the puppies you can see on the page of the Litter! 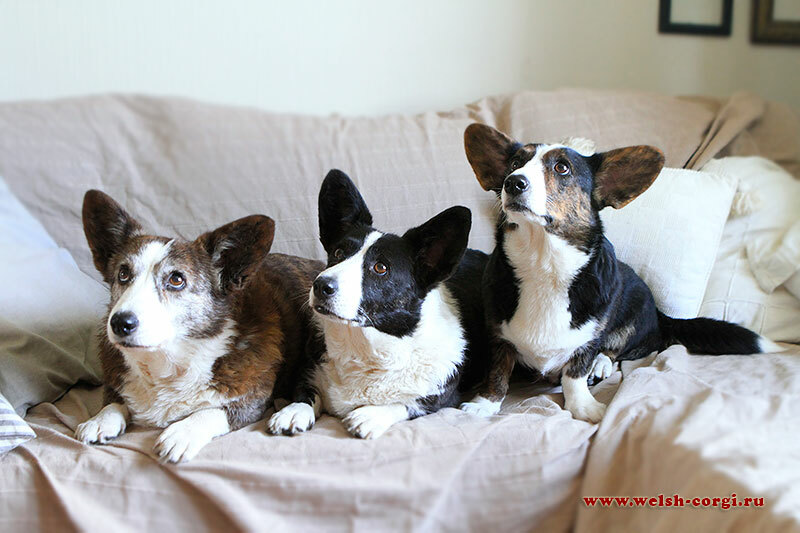 We made the pages for our new girls! 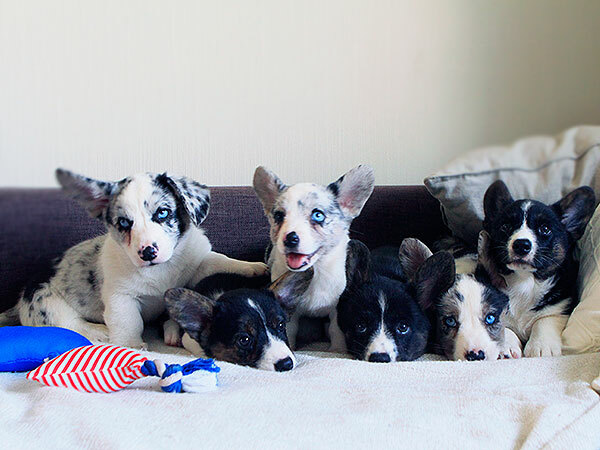 Meet our beauties! 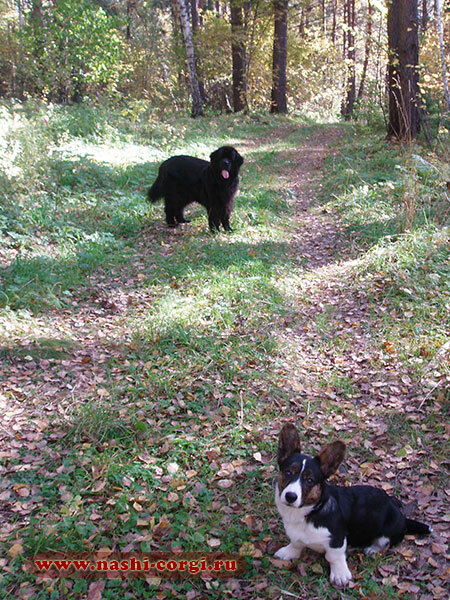 the daughters of Zhuzha and Natan - Hanna (Zamok Svyatogo Angela HANNA BRAVO) and Ptitsa (Zamok Svyatogo Angela HAVVA PTITSA)! 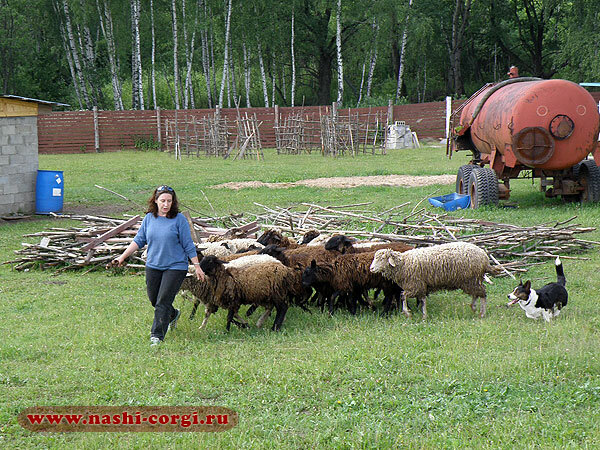 The daughters of Zhuzha and Klim - Ava (Zamok Svyatogo Angela AVA), Arisha (Zamok Svyatogo Angela ARINA) and small Dasha (Zamok Svyatogo Angela DASHA DOCH LUNY)! 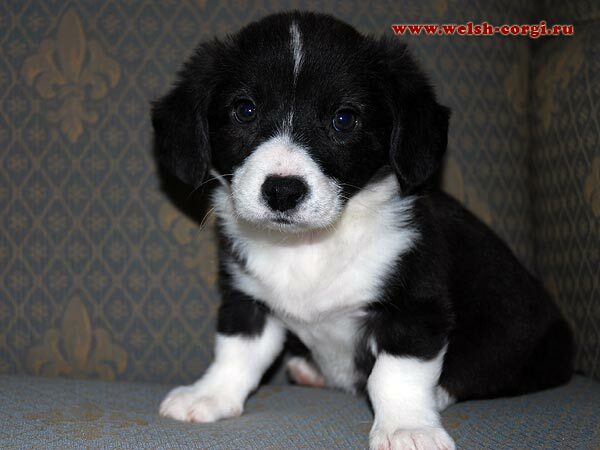 All our puppies from Z Litter are in the new homes now! 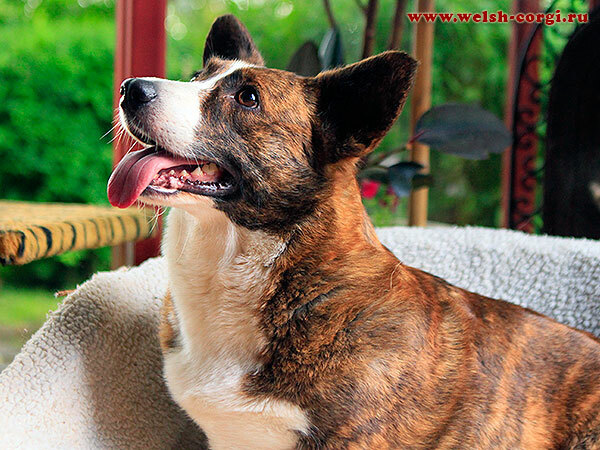 We are thanking the new owners for the trust to our Kennel. 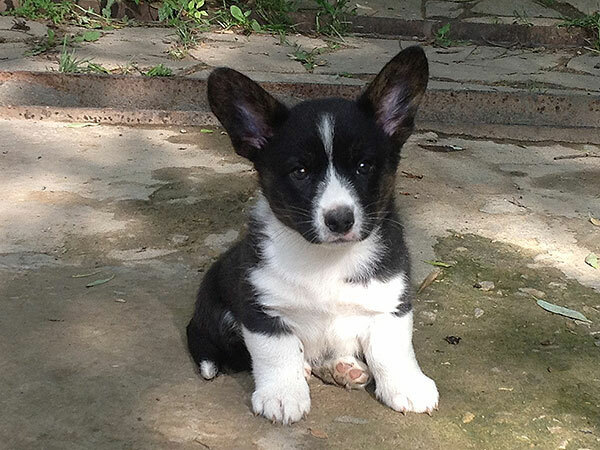 Waiting for the new pictures of our babies! 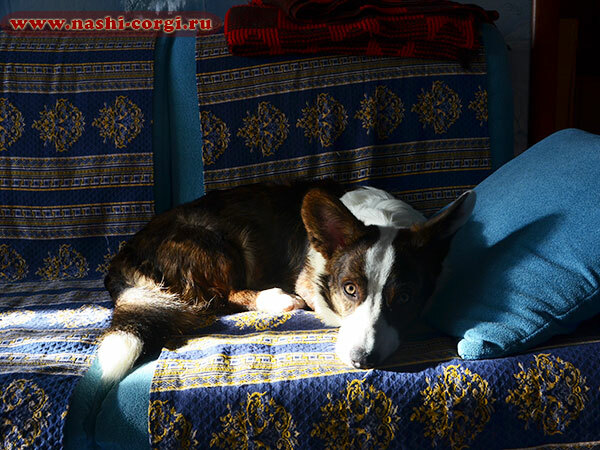 Many thanks to the owners of the Mother of our puppies Emma (Zamok Svyatogo Angela EMMA-O) Larisa and Alexey for the excellent care of our puppies and for their contribution to the development of our Kennel. 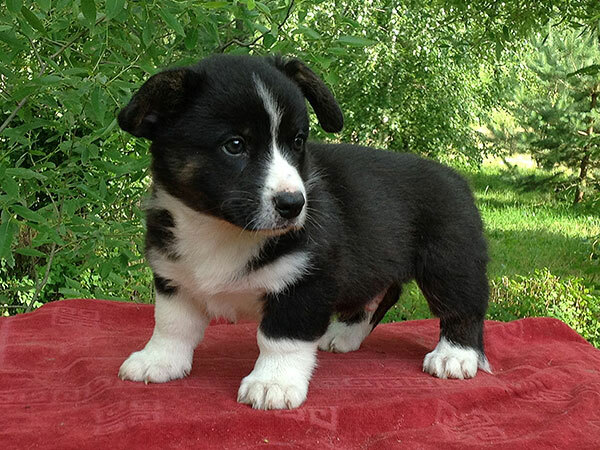 Look for the new pictures of Emma's puppies at the age of 1 month and 18 days on the page of Z Litter! 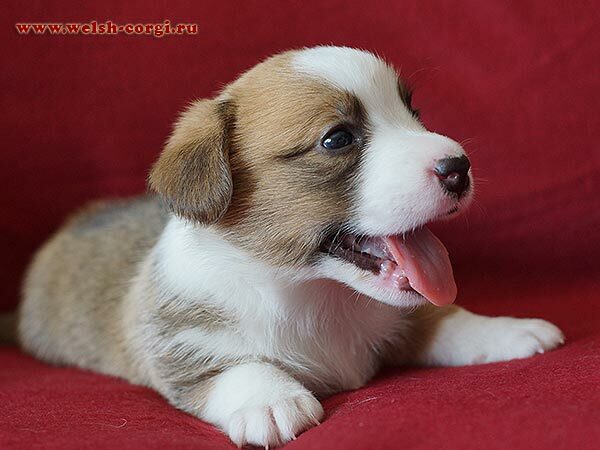 Our grandchildren welsh corgi cardigan puppies of Emma (Zamok Svyatogo Angela EMMA-O) have their new pictures at the age of 27 days! 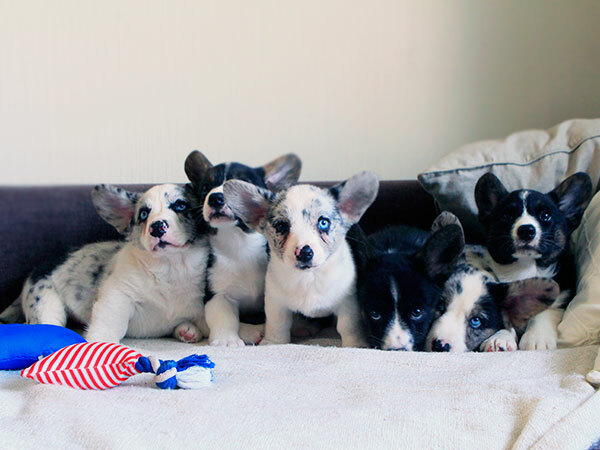 Look for them on the page of Z Litter! 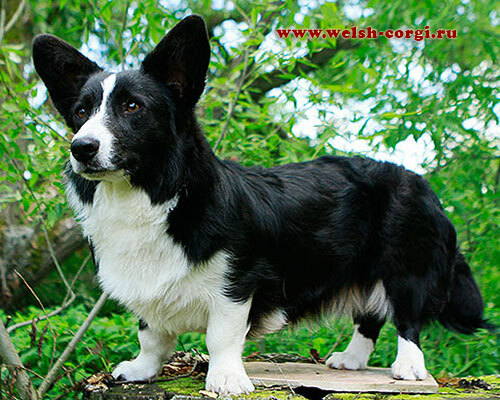 Our congratulations to welsh corgi cardigan Emma (Zamok Svyatogo Angela EMMA-O, the daughter of our Natan and Kuba) and her boyfriend Corgi Na Volge ARUS and their owners! 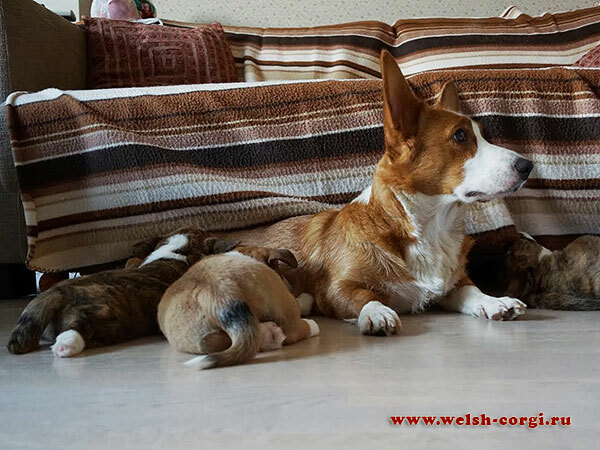 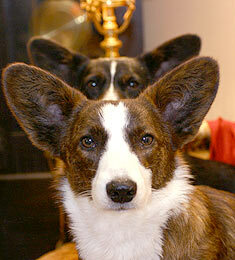 On the 14th of April Emma gave birth to 7 welsh corgi cardigan puppies (2 brindle girls, 1 brindle and 4 red boys)! 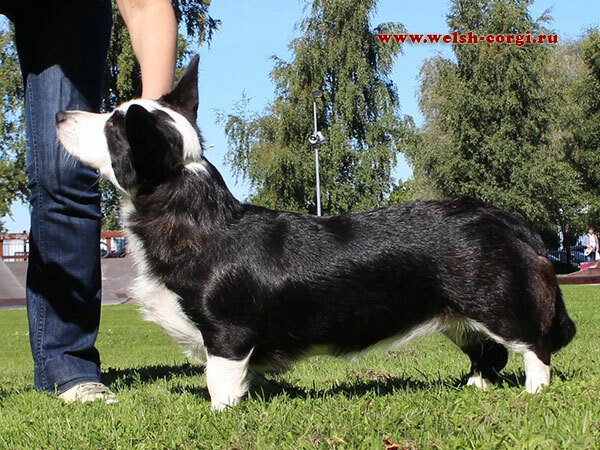 You can see the pictures and pedigree of the puppies on the page of Z Litter! 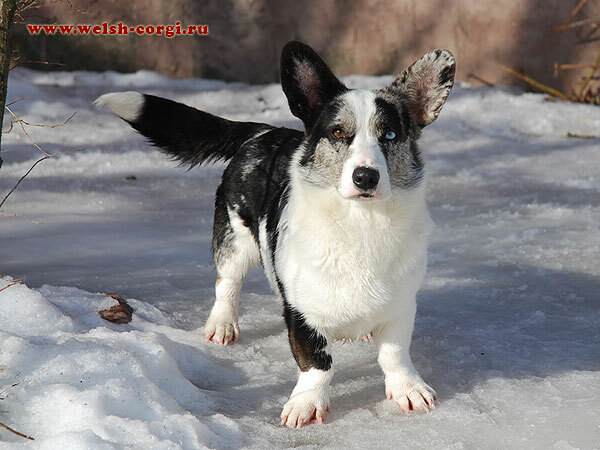 Our congratulations to welsh corgi cardigan Fannie (Zamok Svyatogo Angela YAKOVA) - the daughter of our Klim (Zamok Svyatogo Angela SIMON) and Iriska (Zamok Svyatogo Angela PILAR) and her owners! 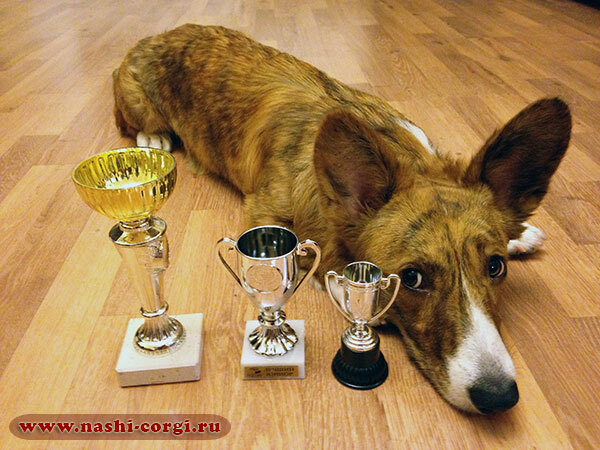 Last weekend Fannie completed the title of Junior Champion of Russia! 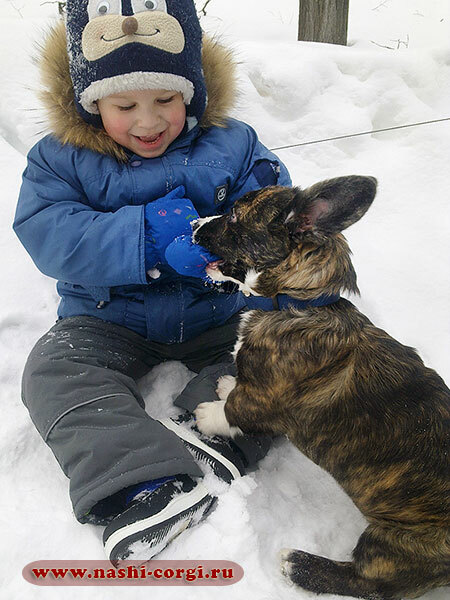 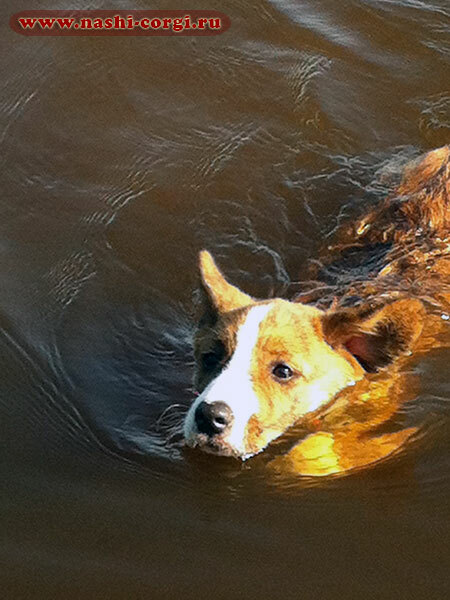 Thanks to all our puppies' owners for pictures of your four-legged family members! 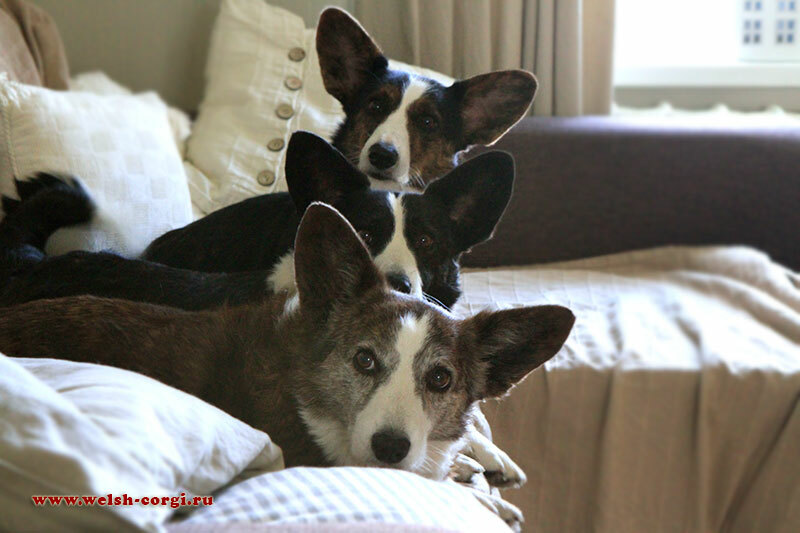 Thank you for sharing your emotions! 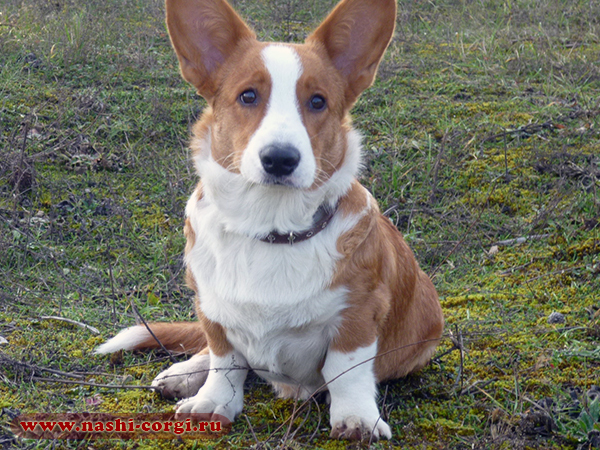 The son of our Klimenty named Lori (Zamok Svyatogo Angela GAVRIIL), who lives in Moscow with his owner Liza! 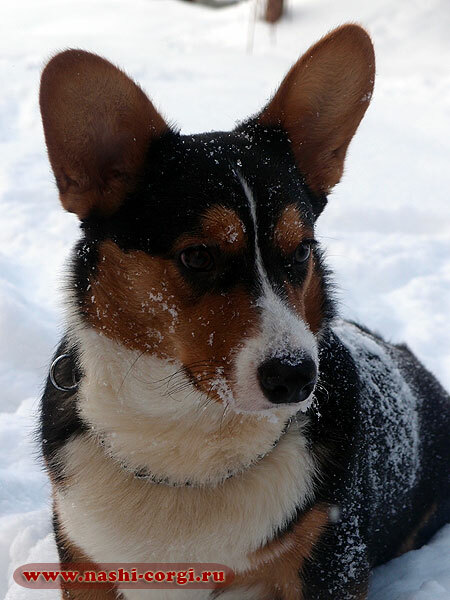 Thanks Liza for his pictures! 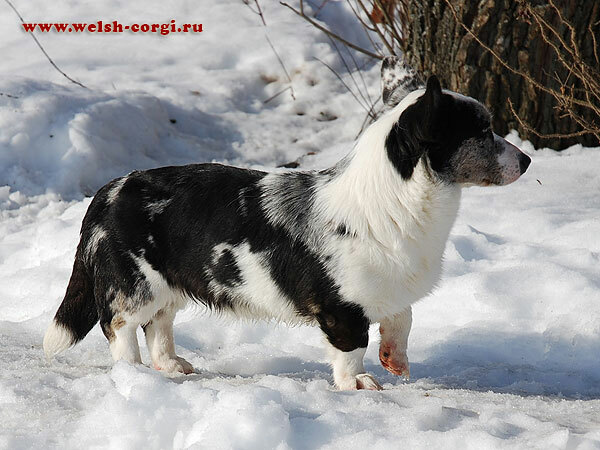 Handsome cardigan Iton from Moscow (Zamok Svyatogo Angela EYTAN) the son of Natan and Kuba. 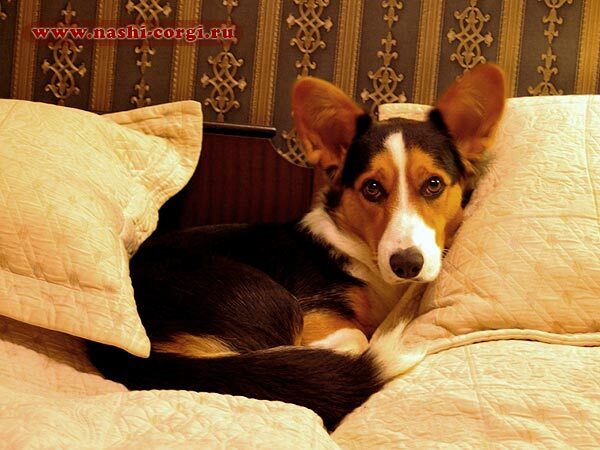 Thanks to his owner Marina for interesting pictures! 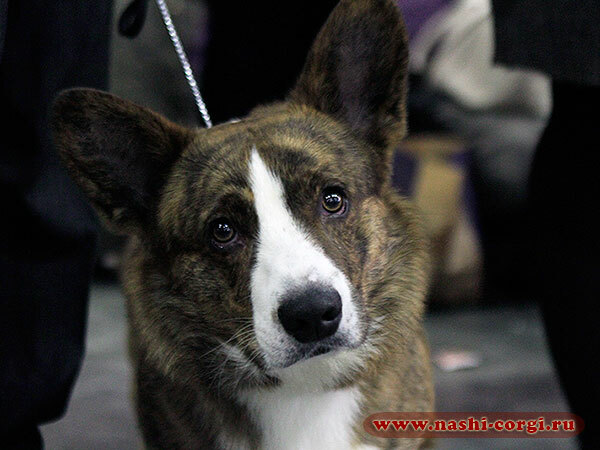 And beautiful brindle cardigan Martin (Zamok Svyatogo Angela YAIR) from Moscow, son of Klim and Iriska! 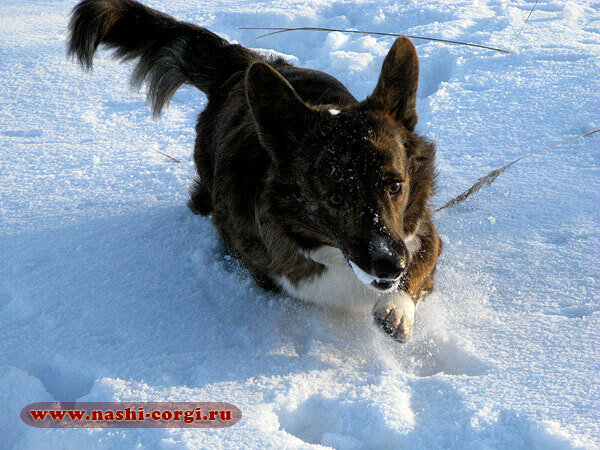 Big thanks to Natalia — his owner for his pictures! 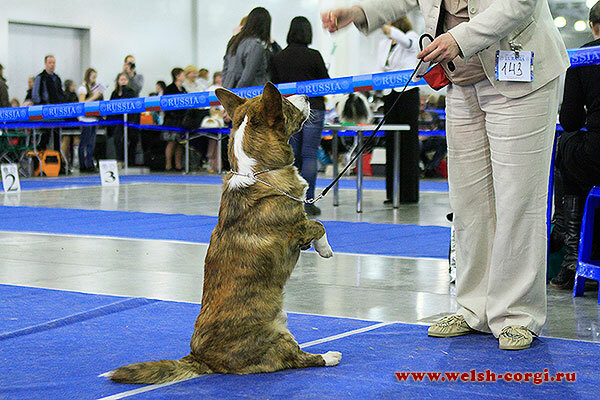 Our congratulations to all our children with excellent results at the International dogshow "Eurasia-2013"! 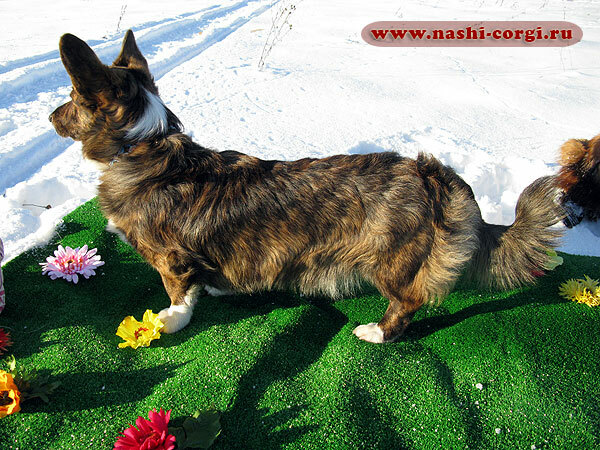 Congratulations and thanks to the owners of our corgi cardigans! 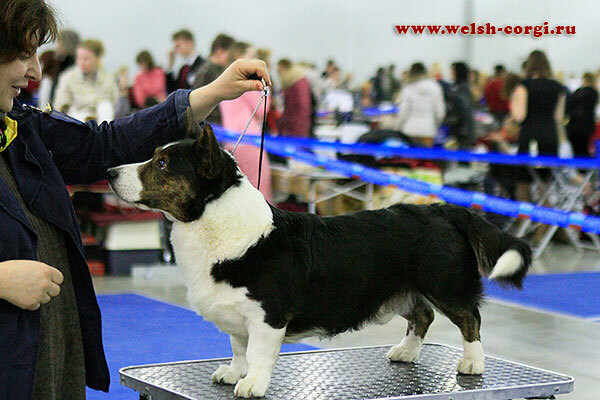 Thanks to the judge Lesley Chalmers, who had come from New Zealand, the Motherland of our boys Bob and Natan, for good job and nice appreciation of our dogs! 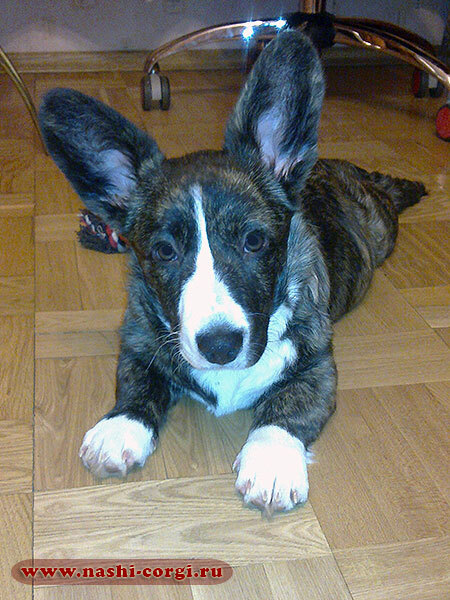 the son of our Natan and Ada, tricolor corgi cardigan boy Berie (Zamok Svyatogo Angela BERRIMOR) who lives in Saint-Petersburg (Russia)! 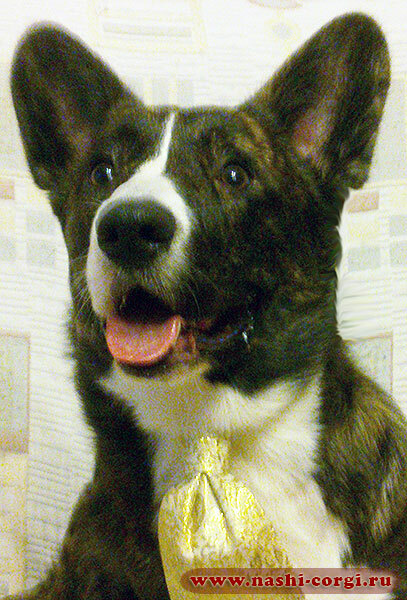 and son of Klimentiy and Iriska, bright brindle boy Barash (Zamok Svyatogo Angela YAHONT) from Moscow (Russia)! 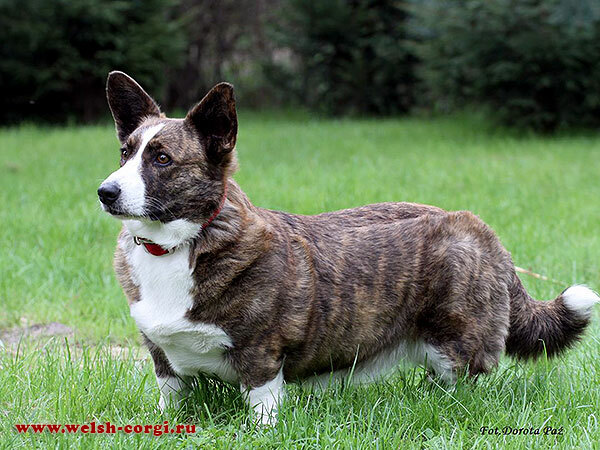 Meet the son of our Bob and Dusya - tricolor boy Robin (Zamok Svyatogo Angela SHON)! 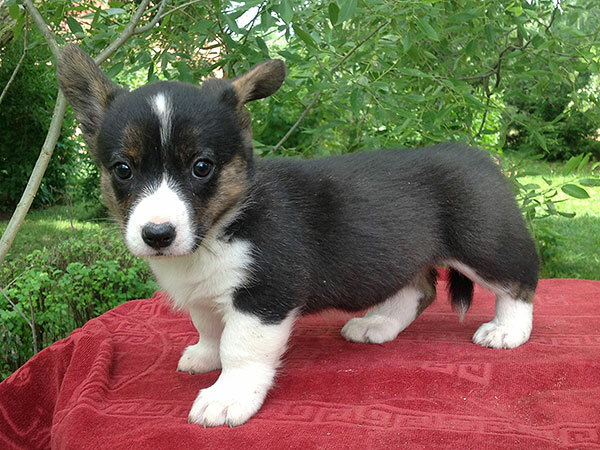 Look for the new photos of our puppies at the age of 1 month and 25 days on the page of litter G.
One red boy and 1 brindle girl are looking for the new homes!